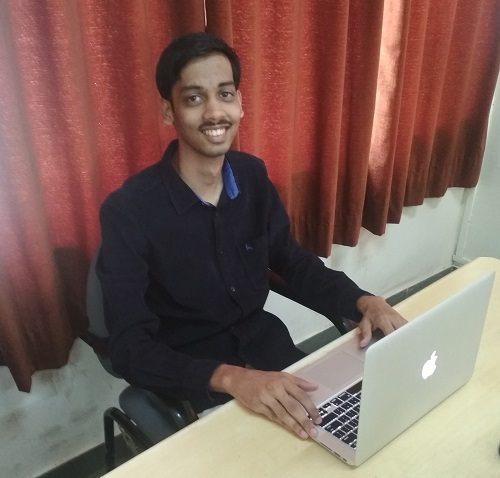 For Sujeet Sawala, an engineering student from Pune, tackling programming sets in front of a screen held as much interest as weaving past pawns and bishops on a chessboard. But it was the drive to learn more each day that fuelled his passion to be a better coder. Sujeet never wanted to start his job hunt but armed with his humble and dedicated approach towards programming, and learning on the whole, today he is placed in Directi through his CCDSAP certification. But his journey started a long time back, during his college days, where he explored online contests and took to competitive programming like a fish to water. Here is an excerpt from the session we had with Sujeet about his experience with competitive programming. Hi. I’m Sujeet. I’m currently studying Computer engineering in my final year at Pune Institute Of Computer Technology, Pune. I am interested in programming and like solving complex problems. I also enjoy playing Chess. I’m an Internationally rated chess player with a FIDE rating of 1725. 2. When did you actively begin competitive programming? What did you like about it? It was during my 3rd Semester that I explored contests with online judges and also ACM-ICPC. Since then, I gradually and actively started competitive programming. I especially liked the data structures and algorithms part of competitive programming and the challenges they throw. The logical abilities developed by attempting and overcoming those challenges are always helpful. 3. What was your motivation behind taking the CCDSAP? I regularly participated in CodeChef Long Challenges. I was placed first on the college leaderboard. I was particularly interested in testing my skills and knowledge in a program which would also provide me a certification. That was one of the motivators for taking the CCDSAP. I was happy to learn that I scored 1000 out of 1000 in the CCDSAP in the very first attempt! According to me, CCDSAP is the only program that offers certifications in Data Structures and Algorithms through programming contests. This makes it a unique certification program. I regularly used to practice algorithmic problems on various online judges like CodeChef, Codeforces, Hackerearth, Hackerrank, Lightoj etc. This ensured that my preparation for CCDSAP was thorough. 6. Tell us in brief about your interview process with Directi! My interview process consisted of three interviews based on Data Structures and Algorithms. After I cleared these rounds, there was a final technical interview round. It was based on the projects done, and computer science related concepts like operating systems, databases, networking, etc. 7. How can the overall CCDSAP exam experience be improved? I felt the level of questions could be upgraded a notch higher so that the CCDSAP could gear up to be even more challenging. 8. Would you recommend the CCDSAP to friends/colleagues? If so, why? Are we allowed to have refrence materials during the exam or can we use internet ? No, no kind of helping material is allowed in exam.